At Grass Barbers, we have dedicated teams which are designated to care for Retirement Development grounds and gardens throughout South London, Surrey and Kent. 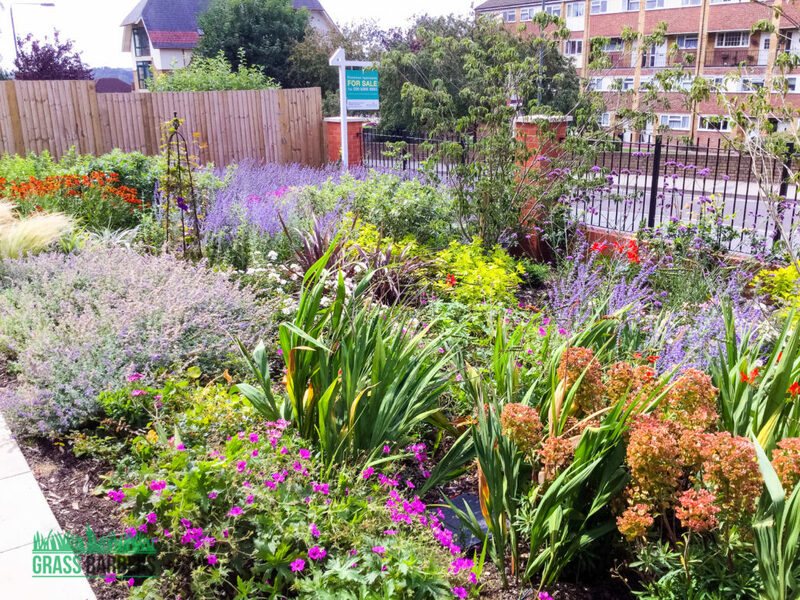 This gardening project brought one of our teams to Sidcup DA14 in Kent. 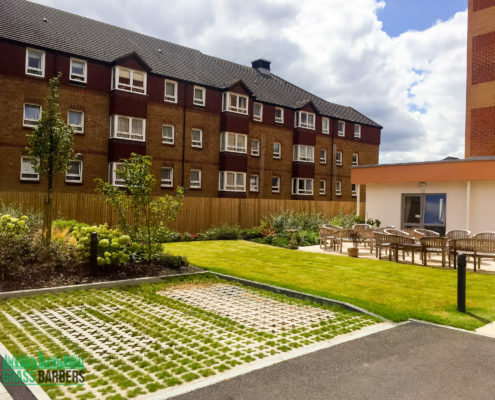 We maintained grounds on newly built retirement development with large landscaped outdoor spaces. Corporate grounds maintenance team followed our procedures and started visit by collecting litter and checking maintenance areas for debris. 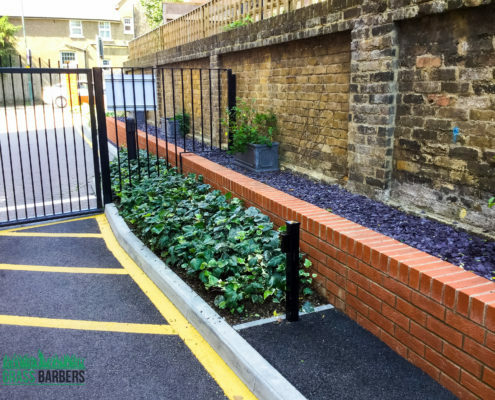 We had to prioritise security as this was a busy urban site close to the main road with residents coming and leaving the site. 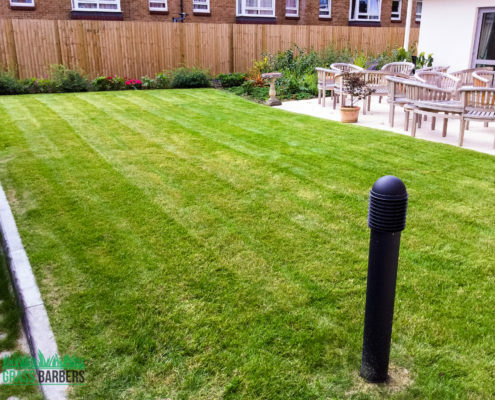 Once all areas were litter and debris free, we unloaded petrol strimmer and pedestrian rotary mower which helped us to maintain the lawns. 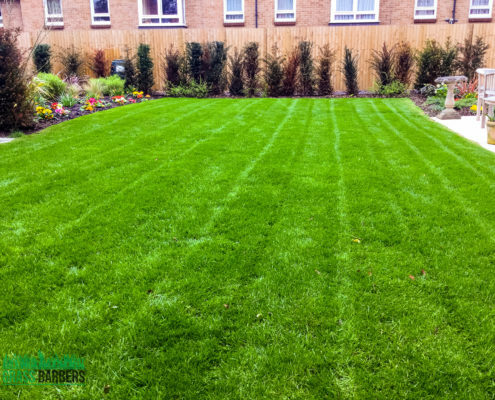 As always we identified which direction lawnmower was used during the last cut and we mowed lawns going diagonally to the last cut direction. 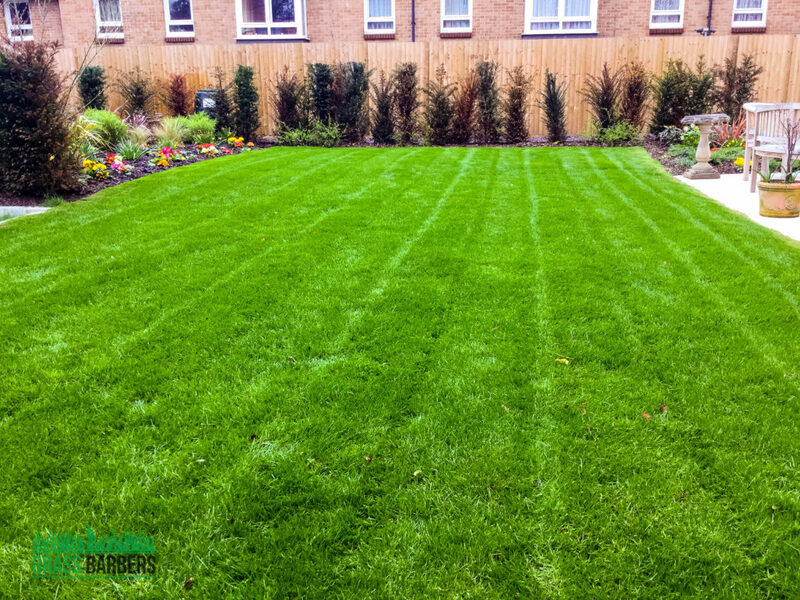 Healthy and lush looking lawns is key to successful lawn care project, therefore, once the grass was cut, we tackled those overhanging shrubs, climbers and flowers to keep them in shape whilst still allowing the natural looking plant growth. 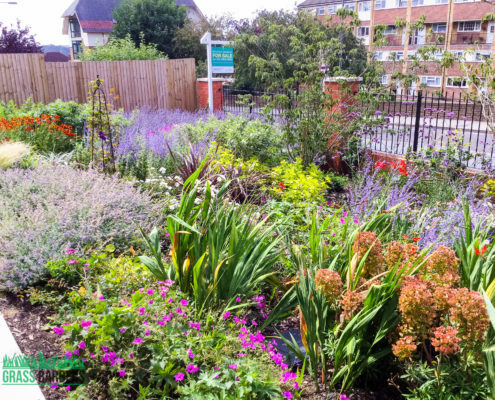 Later gardeners removed weeds using manual tools by eliminating root systems. 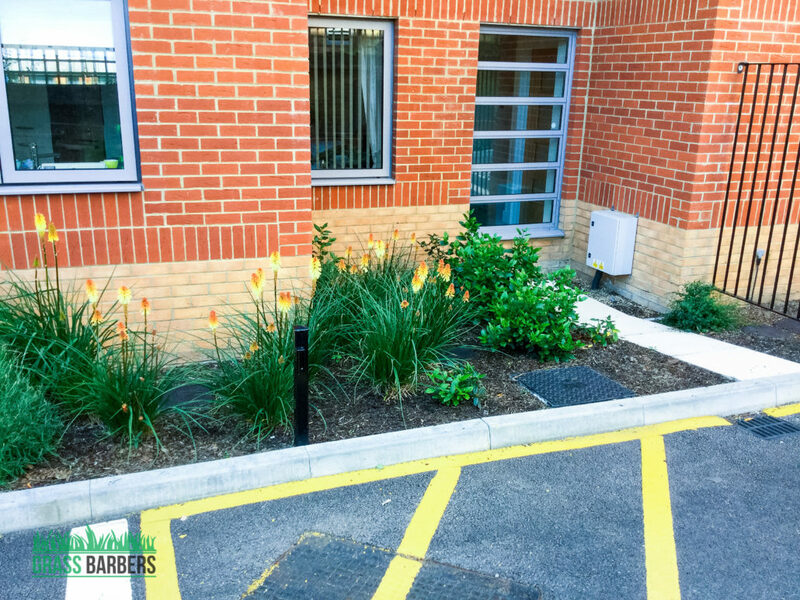 While we worked on-site improvements and shaping, a number of watering sprinklers were set throughout the site to water grass, flowers and hedges. 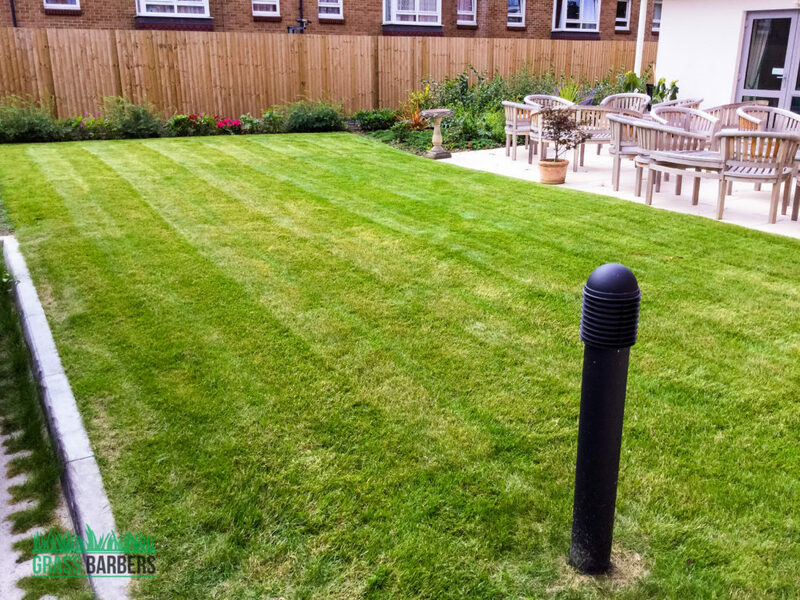 There was a dedicated resident sitting area for sunny summer days, which we carefully swept and edged the lawn growing around it to give the are neat and tidy look. None of our staff is was allowed to smoke, drink tea, sit in vans or hang around on-site as time allocated to the project must always be used for gardening tasks only. Every little change we made during this visit made a huge difference at the end of the day.